I’m not going to lie, when it comes to the age-old crochet vs. knit question, I have stood very firmly with the crochet camp. I mean, my blog is “In the Land of Crochet” after all. Yet, I’m also not one of those crocheters that subscribes into knitting-bashing. I have [unsuccessfully] tried knitting way too many times to not have appreciation for those who can master the craft. Because I’m stubborn determined, I have not sworn off knitting entirely and have vowed time and time again that I will get the hang of it. All the while, every attempt has never been pretty. In my last attempt at knitting, I found out that there were two different styles of knitting — the continental method and the American method. This Youtube video by Liat Gat shows the difference between the two styles. This discovery was huge because being crochet- dominant, continental made absolute sense! I tried a few stitches and success…mostly – but success nonetheless. Even though I had better control of the yarn, I was still having trouble “catching” the yarn to complete the stitch. “If only the knitting needle had a hook then I wouldn’t keep losing these stitches,” I thought. Imagine my surprise when I heard about the Knook from Leisure Arts. An even better surprise was finding it at my local Joann store and being able to score a deal on it! I’ve had my Knook kit since this summer but had never gotten around to using it. Then a couple weeks ago, a friend let me know about this adorable mug cozy that she came across. “Noemi, I thought of you. 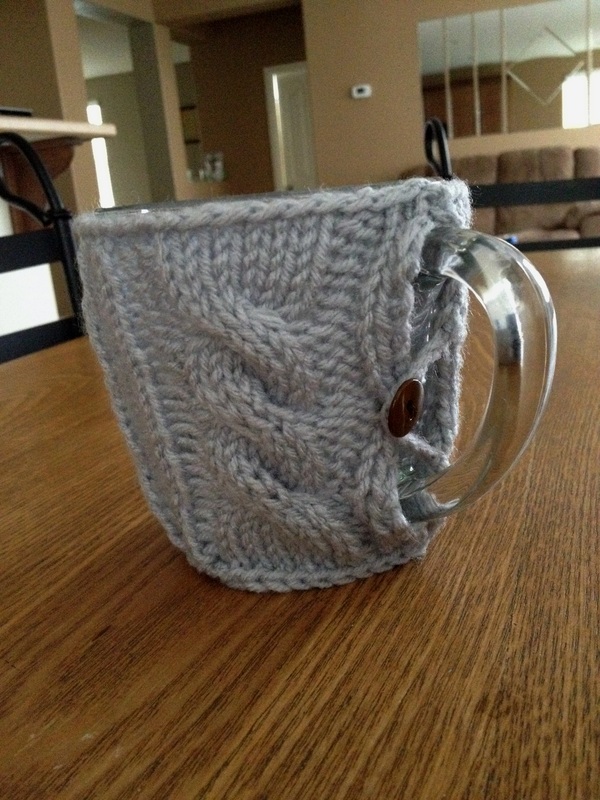 Make me one?…” her message read – it was a picture of a cute mug cozy. Although Simply Notable’s Button Up Your Cup cozy was just too adorable to pass up, there was one teensy, tiny, baby hiccup of a detail. It was a knitting project. 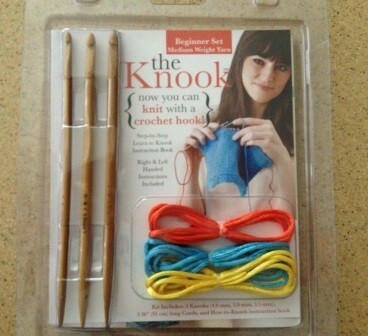 But wait- could this be a job for my Knook needle!? Stay tuned for “Knitting with a Crochet Hook…Kinda (Part 2)” where I give a summary of my first experience using the Knook.